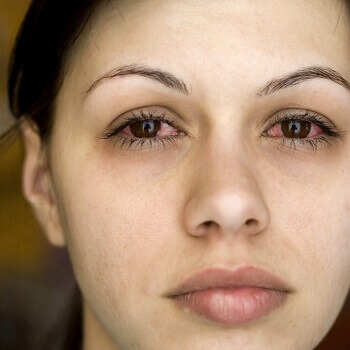 Conjunctivitis, also known as red eye or pink eye, is one of the most common eye conditions affecting people in the UK. Caused by a bacterial or viral infection, or an allergic reaction - it can be very contagious, which means it’s vital to catch it early and prevent it from spreading to those close to you. If you think you’ve got conjunctivitis or any other type of eye condition - don’t delay, get the help you need today. Our GPs can make a fast and detailed assessment of your condition and prescribe the necessary medication to help get it cleared up quickly. Conjunctivitis caused by a viral or bacterial infection is called infective conjunctivitis, while the kind caused by an allergic reaction is known as allergic conjunctivitis. In some cases, an attack of conjunctivitis can be caused when something gets lodged in the eye, causing irritation. Whatever the cause, conjunctivitis occurs when the layer of cells that covers the front of your eyes (the conjunctiva) become inflamed, leading to a range of unpleasant symptoms. As mentioned, conjunctivitis is highly contagious and you’re at a greater risk of developing the condition if you’ve been in contact with someone else who recently had it. You’re also particularly at risk if your immune system has been compromised by another infection (like cold or flu), have diabetes or are taking certain types of steroids. Young children and older people also have a heightened risk of developing conjunctivitis. Redness of the eye: This occurs due to the inflammation of the cells and widening of the blood vessels in the eye. Discharge: In those with conjunctivitis, the cells and glands responsible for producing tears and mucus become overactive - leading to an excess of water and mucus, which can often have a yellow tinge to it. Treatment for conjunctivitis differs, depending on the cause of the condition. 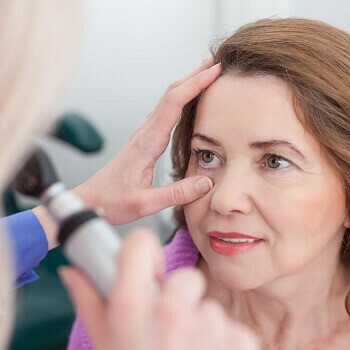 While in most cases, conjunctivitis will clear up on its own without medical treatment within a couple of weeks - in more serious cases, medication may be prescribed to help clear it up. 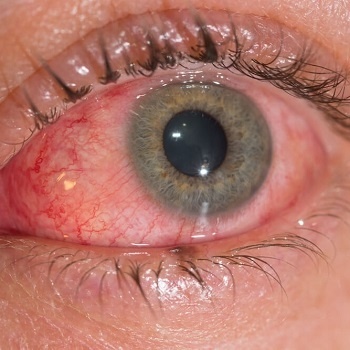 In cases where the conjunctivitis has lasted for over two weeks, or its symptoms are very intense, antibiotics may be prescribed - usually in the form of eye drops. However, there’s a range of steps you can take to deal with the symptoms in the meantime, including not wearing contact lenses, using lubricating eye drops and regularly clearing any discharge with a wet cotton pad.